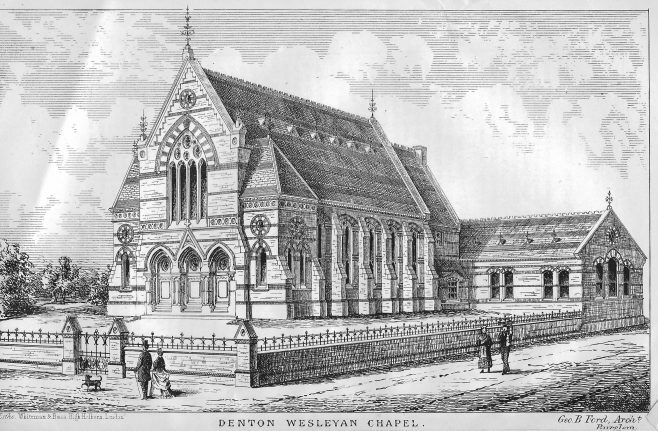 The building illustrated was designed by George B. Ford of Burslem, and built in 1871. At the time of the 1940 Statistical Returns, it could seat 600. In 1970 it was described as seating 457, with twelve other rooms. 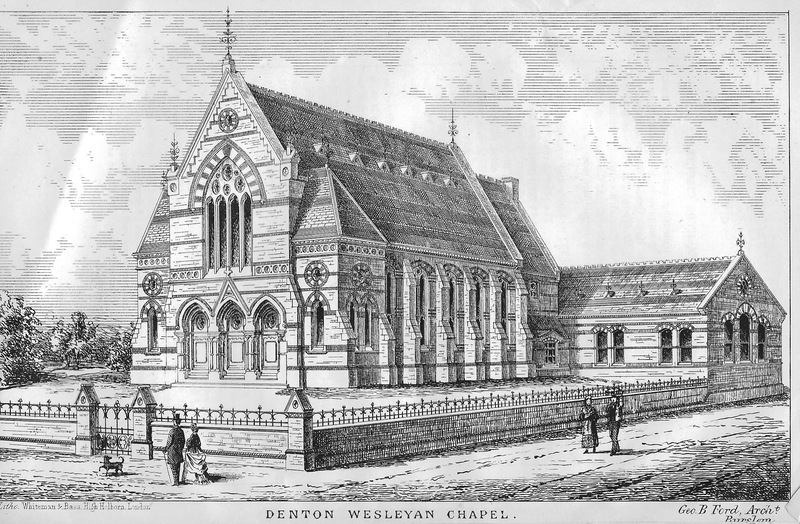 Reference: The seventeenth annual report of the Wesleyan Chapel Committee, 1871 page 138.